Looking to add a splash of color to your kitchen or give the perfect hostess gift? 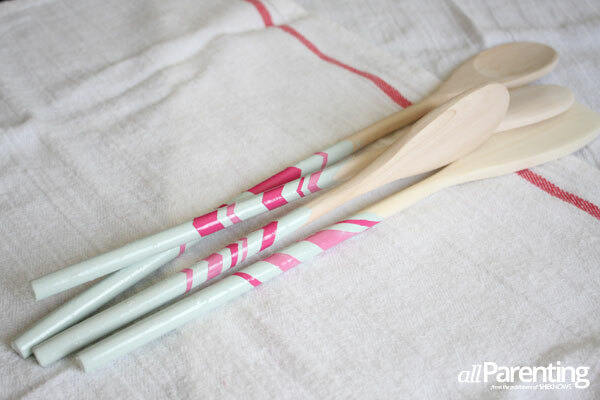 Look no further than these darling dipped and designed painted cooking utensils. 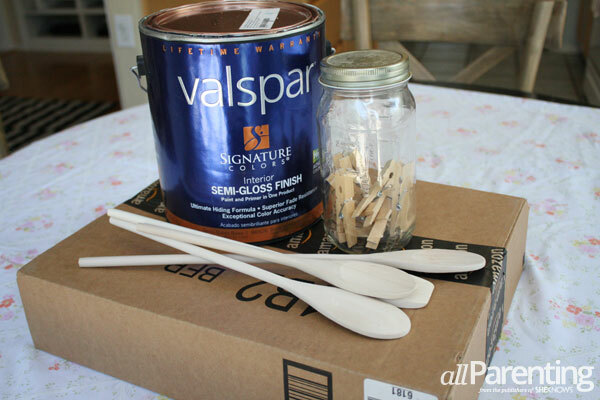 With a bit of paint and a set of wooden kitchen utensils, you can create a fabulous gift to give… or keep for yourself. 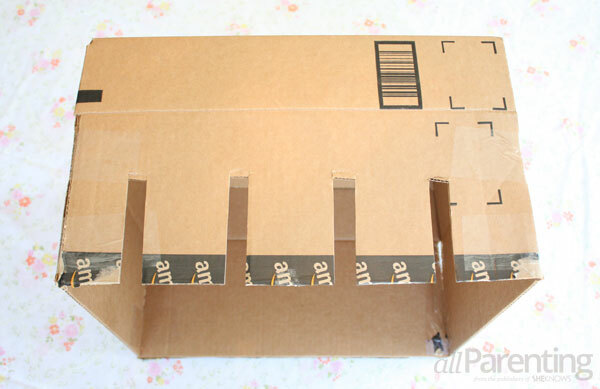 Tape the flaps of your cardboard box together at all four corners. 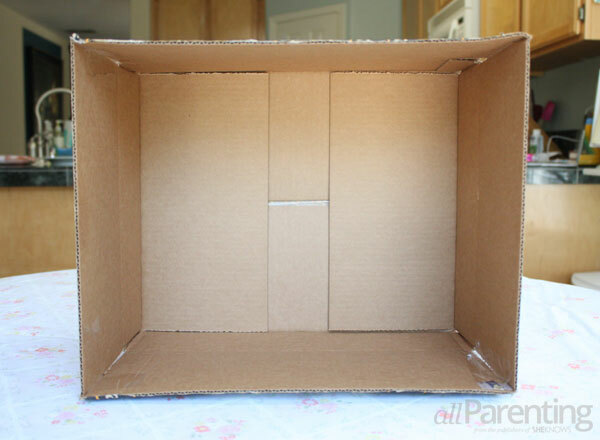 Cut a slot for each utensil into the top of the box. This will be where you place your utensils while drying. Stir paint well. 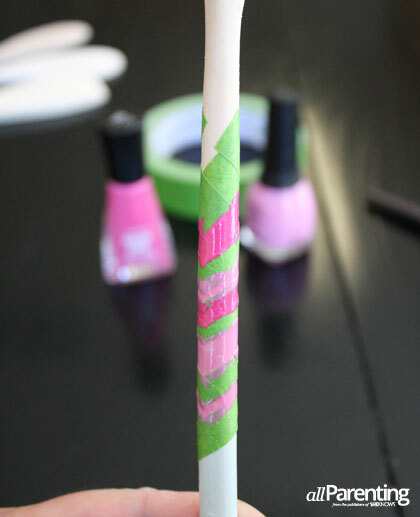 Place a clothespin at the top of your utensil before you dip it into the paint. 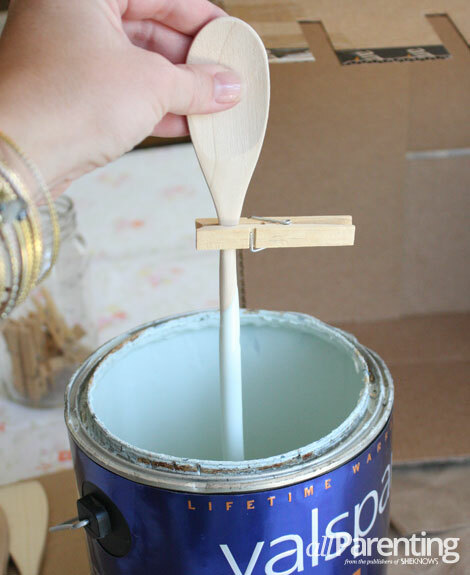 Gently dip the stick end into the paint, making sure to dip it far enough into the paint to cover 3/4 of the handle with paint. 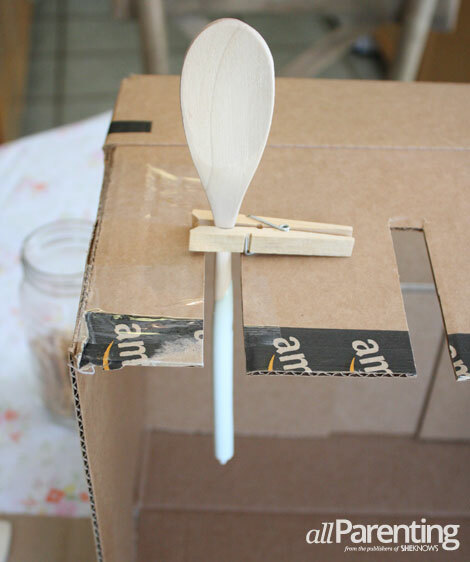 Remove the utensil from the paint and slip it into the slot you pre-cut into your box with the clothespin lying on top. Be careful not to touch your handle to the box. Allow to dry at least 48 hours. 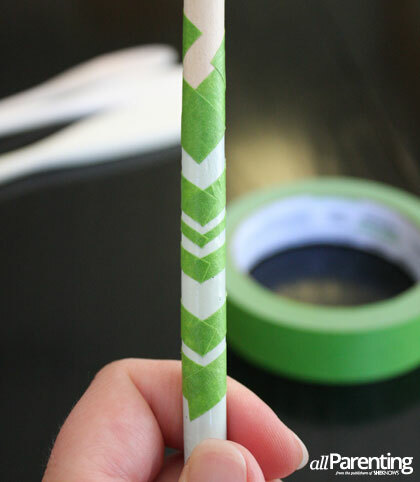 Once dried completely, use your painter's tape to create a pattern of bands in various widths. 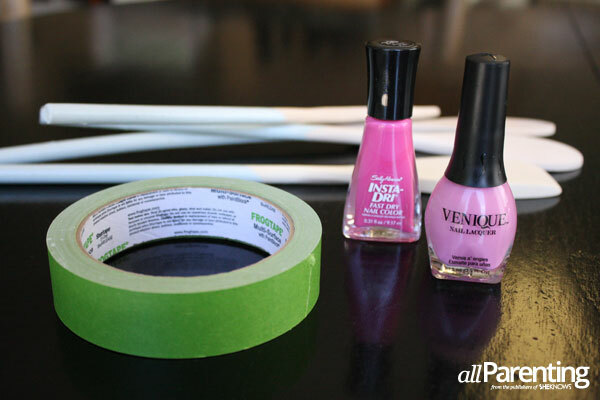 Paint the exposed bands with nail polish colors of your choice. Allow to dry another 48 hours before using. These DIY dipped painted cooking utensils are perfect as a gift for your favorite cook or to add to your own kitchen collection.